Editor’s Note: This paper describes a detailed plan to create a sustainable economy in South Africa by empowerment of women to participate in science, technology and engineering with specific emphasis on Information and Communication Technologies (ICT). UNESCO and the World Bank are assisting similar movements in many countries, including China, to enable these countries to be competitive in the global economy. “In crafting the Bill of Rights, the followers of our democracy knew too well that political rights without a socio-economic foundation would be unsustainable. The emergence and proliferation of ICTs lends itself into the category of the rights and challenges that the President alluded to. With globalization increasingly impacting on business and other sectors of the economy, the scope for competition is no longer limited by national boundaries. The emergence of the ICTs has significantly influenced the global discourse on social and economic development in many ways. In the first instance, the need for developing countries to optimize use of ICTs for sustainable socio-economic development has become a permanent agenda across the globe. possibilities for sustainable growth and development to mention but a few. Science and Technology (S&T) are critical inputs for economic development and poverty alleviation. Advances in scientific and technological knowledge made possible the significant reductions of poverty and improvements in the quality of life in both developed and developing countries throughout the 20th century. In the future, the ability of countries to access, comprehend, select, adapt, and use scientific and technological knowledge will increasingly be the determinant of material well being and quality of life. As a development institution, the World Bank can play an important role in helping its clients use science and technology for development. Science and technology are intimately connected with development because: (i) they have a historical record of bringing advances that have led to healthier, longer, wealthier and productive lives and (ii) they are key ingredients to solutions to the most serious poverty alleviation and economic development challenges that we currently face and are likely to face in the future. (Millennium Report, 3, April, 2000). The cumulative relevance of what Watson et. al. (2003) and Annan (2000) alluded to above depends substantially on regional, national and international policy frameworks, particularly on resource provisioning and management. Developing countries need substantial funding to rehabilitate their infrastructure so that they can adequately optimize possibilities created by inexorable advance in technology. For South Africa to play a meaningful role in global politics tangible structures have to be in place to facilitate the transition to global politics and optimization of technology. The relevance of such structures has to be perceived in terms of how they redefine the role and status of women in science and technology. Improve the quality of life of all citizens and free the potential of each person. (Constitution of South Africa, Act No 108, 1996). The affirmation of women rights and freedoms is an integral part of transformation process that South Africa has embarked upon since 1994. The proliferation of Information Communication Technologies (ICTs) places the majority of women in a precarious situation in many ways. In the first instance, the apartheid policies did not create adequate conditions for developing the capacity of women in general. Secondly, as a consequence of discrimination women could not benefit from development policies, especially access to technology in its diverse forms. In its attempt to address the notion of capacity among women, the South African government embraced dialogue with national and international organizations on women rights and freedoms. It was through such interactions that tangible legislative frameworks were promulgated to legitimize the transformation processes. It was also to send a strong message to the international world that South Africa is committed to transform the apartheid policies and structures and reaffirm its commitment to improve the socio-economic welfare of the South Africans, particularly women. It is for this reason that September 1995 remains a symbolic year for women in South Africa. It was during this period that South Africa participated for the first time in the United Nations series of World Conference on Women at the fourth Conference on Women in Beijing China. It was at the same Conference, that the South African government committed itself to the Beijing Platform of Action (BPA) and Convention on the Elimination of All Forms of Discrimination Against Women (CEDAW). To operationalize the BPA and CEDAW mandate, the South African government set in place an interim structure with the Department of Welfare and Population Development as the caretaker of the National Gender Programme. Through robust interrogations and commitment by various government departments, the Cabinet approved the establishment of the Office on the Status of Women (in the presidency) and the Commission for Gender Equality, a statutory body funded by but independent of the government. These structures are intended to advance the rights of women across the various sectors of the society. There is a pressing need to continue to centralize women’s issues and to ensure the incorporation of their collective perspectives, experiences and contributions to sustainable development. The implementation of the programme areas of Agenda 21 which extensively incorporates the important role of women in sustainable development will help to meet this need. (UNIFEM, 1993). Good governance not only includes transparency, democracy and respect for human rights, institutional capacity and resources, but it also has major gender implications. Among these are equal participation of women at all levels, their access to education, training, employment and benefits, as well as the use of gender-differentiated methodologies and instruments…Gender mainstreaming is not simply a question of more women in decision making …in…development sector. It also means that institutional mandates, policies and actions are shaped by gender perspectives. Once aware of their own situation and position, women often establish or become members of women’s organizations and coalitions. As a common effort these organizations promote the empowerment of women. Such organizations play an important role in promoting integration of into sustainable development, and act as agents of change in transforming the mainstream. Attempts to mainstream women and gender issues have to be anchored on a sound policy framework. As indicated above South Africa is richly endowed with plausible legislative frameworks to advance the rights and aspirations of women. Furthermore, the advancement of women and gender issues is dialectically related to the national strategy for research and development. In this instance, South Africa has a well articulated National Research and Development Strategy that can be used to accelerate research on women’s issues and development in general. Promoting research quality is a delicate institutional balancing act. Some issues are general and affect tertiary education and research institutions of all types. These pertain to the quality of faculty, the relevancy of curricula, the adequacy of physical resources, the flexibility and autonomy of institutional management, the sources and stability of financing. A major challenge facing developing countries is how they can meet the growing demand for tertiary education while simultaneously improving quality and relevance, within shrinking public budgets. The notion of delicacy alluded to above, does not only apply to quality research promotion and capacity building. It is central to the gender and inequality discourse especially about women and ICTs. The discourse about women and ICTs in South Africa has to be underpinned by a rigorous understanding of the apartheid legacy. Of relevance here is a clear understanding of the impact of apartheid policies on socio-economic development. Of particular significance is the recognition that apartheid laws had serious consequences on information and communication technologies. The cumulative impact of the policies and practices alluded to above was greatly felt by women. The political changes in South Africa yielded tangible transformative policies targeted at redressing the apartheid legacy. Part of the transformative strategy is demonstrated by South Africa’s active participation on global issues. The publication of this strategy represents a milestone for the National System of Innovation in South Africa. It coincides with the establishment of the Department of Science and Technology, which will be charged with giving effect to this strategy. However, a more effective innovation system is a partnership developed between all institutions involved in creating new knowledge, producing innovations and diffusing them to the benefit of the people of South Africa and our region. (NRDS 2002:5). Both publication and adoption of the NRDS is of great relevance for South Africa in many ways. In the first instance, it is an acknowledgement of the power of science and technology in social engineering. Secondly, it is an open invitation for South Africans and institutions of higher education to invest in research that uses technology to transform the socio-economic welfare of the South African citizens. The NRDS is anchored on three critical and overarching objectives, namely (i) achieving mastery of technological change in our economy and society (Innovation) (ii) increasing investment in South Africa’s science base (Human Capital and Transformation) and (iii) creating an effective government science and technology system (Alignment and Delivery). Arising from the NRDS, four key drivers that underpin the operationalization of the strategy are (i) innovation (ii) human capital and transformation (iii) alignment and delivery. Of relevance here is the need for South Africa to invest more resources in science and technology to enhance global competitiveness. This would benefit the nation in many ways. Firstly, it would revolutionalize public perceptions about technology thus break the barriers to technology advancement. Secondly, it would increase the business value of the country. Thirdly, it would enhance the principles of international competitiveness, knowledge construction, technology transfer and application. Of course, being skilled in a global economy is not simply about knowing how to use new technology. It also concerns knowing how to solve problems, learn new things, work on a team, communicate, and locate, evaluate, and act on information. But, ultimately, it may be most about combining those more traditional skills with technological ones to get work done. What Bennett postulates touches on one of the fundamental drivers for social development, namely the use of technology for socio-economic empowerment. The significance of what Bennett alludes to is incidentally linked to the goals of Millennium Declaration 2000, signed during the United Nations’ Millennium Submit. The Millennium Declaration commits the United Nations’ member states to ‘promote gender equality and the empowerment of women, as effective ways to combat poverty, hunger and disease and stimulate development that is truly sustainable’. The Millennium Declaration is an affirmation of the progress made on gender and equality since the Beijing Platform for Action in 1995. It further reinforces the aims of the Convention on the Elimination of all Forms of Discrimination Against Women adopted by the UN General Assembly in 1979. Information and communication technologies (ICTs) comprise a complex and heterogeneous set of goods, applications and services used to produce, distribute, process, and transform information. They include the outputs of industries as diverse as telecommunications, television and radio broadcasting, computer hardware and software, computer services and electronic media (e.g. the internet, electronic mail, electronic) commerce and computer games. ICTs may reshape, reorganize and restructure working methods. They offer generic advantages of: efficiency and productivity gains, information-sharing, storage, and communication; faster knowledge accumulation, dissemination and application; in support of the specific purposes for which they are used…enabling rapid and continuous transfer of commercial, financial and political information crucial to the development process. Yet ICTs are neither a panacea for development nor a replacement for real world processes. Huyer and Sikoska further argue that “The continuous development of new technologies and their application to economic, political and social processes is creating new opportunities that could enhance the quality of human life”. (p1). The position of women in socio-economic discourse has to be understood within the paradigm of patriarchy and patriarchal structures and practices. In patriarchal communities the status and role of women is influenced by patriarchal values and principles. Generally this leads women to assume subordinate and powerless positions. Of relevance here is the extent to which women’s rights and freedoms are undermined and compromised. The patriarchal practices do not consider building capacity and empowering women as a priority. …a process through which women gain power over men or as a process that enables women to gain access to decision making process and instances of power. Increasingly though, empowerment tends to be viewed as a process that leads women to perceive themselves as capable of undertaking decisions and making choices about their lives, which in turn requires sufficient levels of self-confidence and assertiveness. Empowerment, therefore, necessarily embodies challenging patriarchy at all its levels of expression: social structures and relationships, moral and cultural values and norms, and institutions and power structures. The exponents of the empowerment discourse perceive it as a plausible strategy from which social engineering and transformation can effectively be anchored. Moser (1993) conceptualises empowerment within the strata of “strategic gender needs”. She argues that “strategic gender needs” include socio-political and economic issues, legal rights and other civil virtues. She argues further that by addressing these generic needs enables women to acquire capacity to challenge the status quo and thus reshape the balance of power between women and men within communities and institutions. Evidence gleaned from literature confirms that women can no longer ignore the power of ICTs and the globalisation of information and economies (Carr and Huyer, 2002; Prahalad and Hammond, 2002; Knight et. al. 1995; UNESCO, 2001; Sikoska et. al. 2000; Hafkin 2002). Access to public information through ICTs is a key ingredient for e-democracy and women’s empowerment; yet, individual “access” to ICTs alone does not necessarily ensure that the technology will be used by women for their empowerment. Rather, the possibility of “access” can only become advantageous for women if they are organized and as such are capable of determining: a) the type of information they need, b) the way that information is presented and c) the concrete means required for that information to be accessed and used. Encouraging and allowing individuals to take personal responsibility for improving the way they do their jobs and contribute to the organisation’s goals. It requires the creation of the culture which encourages people at all levels to feel they can make a difference and helps them to acquire the confidence and skills to do so…creating the circumstances where people can use their faculties and abilities at the maximum level in pursuit of common goals, both human and profit oriented. Cutterbuck further argues that creating opportunities for personal empowerment involves putting authority, responsibility, resources and rights at appropriate levels for diverse tasks and challenges. In this regard, he perceives empowerment as a psychological drive that enables human beings to change their attitudes and formulate new ways of changing the status quo. The resonance of Cutterbuck’s thesis is further reinforced by Bolin (1988), who argues that for a meaningful change to occur there is need to change the mind set and the supporting infrastructure to give meaning and impetus to the transformation and empowerment processes. What post-apartheid South Africa needs is a drastic and sustained reconstruction of the social milieu to engender democracy and other civil virtues including the optimisation of resources to address the plight of women in general. By using this approach, South Africa can ultimately conquer the legacy of apartheid which Nkomo (1990:295) describes as a ‘policy of benign neglect…that promotes compulsory ignorance’. If on the other hand, we acknowledge and recognise education as an effective strategy to empower people with knowledge, skills and other forms of competences. It is obvious that the majority of women in South Africa need exposure to diverse forms of education. As a consequence of the global politics and the ever changing economic challenges, women would benefit immensely in Information and Communication Technologies (ICTs). The raison detre for an accelerated campaign and programme for women’s empowerment in ICTs is to create a pool of human capital better equipped and mentally attuned to deal with the challenges of access, equity and equality across the socio-economic domain. The apartheid laws disenfranchised majority of the South Africans from playing an active role in the political and socio-economic affairs of the country. Women are the most affected members of the population. Women are often excluded from the locus of power, authority and decision making. This has serious implications both on their personal growth and scholarship. It further undermines the notion of civil rights and freedoms. But most importantly it deprived women in academia the opportunity to explore their abilities as transformative intellectuals to interrogate issues of national significance. The demise of the apartheid legacy presents academics, particularly women, with a plethora of challenges and possibilities. In first incidence, the legislative framework affords them an opportunity to be enfranchised and play a meaningful role in shaping the research agenda in ICT and other related fields. Through the existing legislative framework, they can negotiate for the devolution of power and authority so that they can influence the operational and decision making frameworks. Generally organisations have distinct operational frameworks and strategies to allocate responsibilities. Such articulations are often underpinned by subtle power relations that serve the needs and aspirations of those within the locus of power and decision making. Invariably, rules and other operational imperatives exist to justify conformity and at times perpetuate top-down management strategies. The top-down management often gives those in positions of authority excessive decision making powers. For instance, in Apartheid South Africa, the state through its various arms of authority usurped civil virtues to entrench and perpetuate policies of segregation and marginalisation. The consequence of this practice translated into excessive bureaucracy and the tendency to prescribe how organisations must function. Through the process of empowerment, women researchers would be able to function as effective intellectual vanguards of their professions, disciplines, institutions and the nation at large. They can harness their academic power to influence decisions on issues affecting women in general. During the apartheid era, the power to implement policy and organisational changes resided with the state machinery to the exclusion of other potential role-players. This created an intense power struggle between the state and the various stakeholders in general. Since the creating of opportunities for empowerment was also based on racial segregation, the majority of the population suffered in this regard. The challenge now is to make facilities available for training and development of women in particular. The relevance of empowerment endeavours is arguably captured by Carl (1995:7) who writes that empowerment as an enabling strategy gives the empowered ‘…freedom with responsibility because a purpose is pursued’. What Carl articulates is relevant in that ignites collective engagement which is crucial to forge the culture of ownership regarding policy and praxis. When institutions create a conducive environment for staff to engage in policy issues, it affirms their role as important members of such institutions. It invariably unlocks the professional competencies of the staff and gives them confidence to initiate collaborative research ventures to address national challenges. The resonance of what the Constitution articulates forms an important part of the discourse on the need to affirm the rights of all citizens. The question of women and gender becomes quite pertinent in this regard. It is the scenario outlined above that requires South Africa to optimize its participation in the global markets. Of particular relevance in this regard is the country’s adoption of the Growth, Employment and Redistribution (GEAR) programme. Through the GEAR programme, the government hopes to create sustainable economic growth, social upliftment and the general empowerment of the South Africans. To achieve the fundamentals of the GEAR programme, the government instituted a project currently known as the South African Information Technology Industry Strategy (SAITIS) in 1995. The SAITIS was intended to bridge the global development gap and develop a robust, growing and sustainable South African ICT Sector that supports the GEAR policy and frameworks. The impact of the ICT on global economies cannot be ignored. It has led to a proliferation of technology and utilization by the business sector, individuals and communities in general. The proliferation of technology and its usage can be categorized into these ICT trends (i) internet (ii) infrastructure and application (iii) globalization and deregulation (iv) business models and (v) ICT sectors and social infrastructure. Development in ICTs has greatly transformed interaction between the various sectors of the government and the public in general. Access to technology has also created opportunities for generating solutions to socio-economic problems. Of particular relevance here is the steady growth and progression towards the adoption of ICT utilization by business, government and consumer sectors. According to the South African ICT Sector Development Framework (2000:14), the country already has an established ICT Sector comprising (i) a small number of thriving indigenous companies, some of which have achieved multi-national status (ii) Several State Owned Enterprises (SOEs) that are major players in the ICT Sector (most notably Telkom SA) (iii) a growing base of ICT SMMEs; and (iv) a number of foreign –owned multi-national enterprises (MNEs) that have established a presence and business relationships in South Africa. Human resources development is the most critical area that South Africa faces in the development of its ICT Sector and in stimulating ICT usage in other sectors of South African society … South Africa is no different from other countries that have to deal with the global shortage of ICT workers, in particular, the global migration of the skilled workers. South Africa, however, faces the more profound challenge of educating, training and integrating a large proportion of its population who were previously denied the opportunity to move into the emerging information society (p16). Science and technology (S&T) policy in South Africa is based on the framework of a National System of Innovation (NSI), whose two prime functions are to deliver quality of life to citizens, and economic growth and wealth creation to the nation. S&T is crucial for achieving both, but the process by which such outcomes are delivered is neither trivial nor mechanistic. It is based on complex interactions that include: the people who work in science, engineering, and technology (SET), core innovation processes, and economic factors such as access to capital (including venture capital and tax incentives). (National Advisory Council on Innovation: South African Science and Technology Key Facts and Figures, 2002). At the heart of the South African ICT policy is the question of creating a conducive environment for women to harness the technology for their social upliftment. South Africa’s national policy is one of the few which are globally recognized to be gender-sensitive. ICT policy is therefore no exception. The White Paper on communications stressed the need to ensure gender equality in issues such as licensing, procurement and training (1996). The Telecommunications Act of 1999 which saw the establishment of Service Agency of South Africa provided a legislative framework which positively impacts on gender. Without strategic interventions, sound policies often fall short with regard to implementation. The major setback of gender issues outlined in the White Paper is that gender has not been mainstreamed into the activities of regulators and operators. The reason for the setback is that the policy does not address issues of affordability. As a result, the policy benefits a relatively small percentage of women through their inclusion in their ownership and control of new companies or from increased employment or promotion opportunities in the telecommunications sector (Hafkin adapted from Gillwald 1999). In getting to grips with the role of ICTs in advancing women empowerment, it is imperative that a distinction be made between Information technology (IT) and ICT. IT is comprised of hardware, software, networks, equipment and IT industries. ICT reflects the emphasis on communications aspects in recognition that communications is indispensable for connectivity and collaboration and that IT cannot function without it. The concept of ICT is therefore generally used as it is inclusive of all IT related aspects. …perhaps most important from the perspective of the World Bank, technological capacity appears to be contributing to accelerated growth in some large developing countries (e.g ., China, India, Brazil, Mexico, Philippines, Thailand, Malaysia). High tech manufacturing exports have grown faster than all other categories and developing countries are gaining a larger share of this expanding trade. These developing countries, which are now benefiting from a combination of technological capacity, openness to trade and other comparative advantages (such as lower wages), are also experiencing accelerated rates of economic growth. What is more, the countries benefiting are home to over half the world’s population, and more than half of the world’s poor. Additional evidence (Dollar and Kraay, 2001) shows that incomes of poor people are rising proportionally with growth rates. Education and training. Women are under-represented among ICT students (intermediate and higher degrees), as well as in vocational training and lifelong learning initiatives. It is hoped that with the introduction of a new curriculum and other interventions at higher education women representation in ICT will see a drastic increase. Working and employment conditions. The working conditions of many ICT professionals (working hours and rhythms, overlaps between private and professional life) are often not attractive. Voluntary working time arrangements are rare. Culture. The dominant professional culture relies on male-dominated behaviours, values and expectations, such as ICT applications in daily life. The exclusionary culture of ICT work reinforces the structural factors that disadvantage women. ICTs are important tools at the center of economic growth. Bringing women into the ICT mainstream and make them both beneficiaries and contributors to the process of economic growth are crucial for the well-being of our country. World Bank has been incorporating gender issues in its information and communication technologies projects. A project in Mozambique aiming at providing Internet access to colleges and universities and increasing women’s access to higher education by using ICTs to teach is a typical example of such initiatives. According to World Bank reports, many national policies for information and communication technology refer to situations facing rural areas and poor people and say little or nothing about gender. As a result, gender issues will probably not be taken into account when such policies are implemented. The outcomes of World Summit on the Information Society (WSIS) are in this regard expected to be geared towards encouraging the development of policies which address gender issues in ICTs among nations. One of the summit’s challenges as outlined in the Draft Declaration of Principles is to “harness the potential of information and communication technology to promote the development goals of the Millennium Declaration, namely the eradication of extreme poverty and hunger; achievement of universal primary education; promotion of gender equality and empowerment of women”. South Africa is considered one of the top countries in the world which have sound policies on gender issues. Engendered national policies for information and communication technology can help women by increasing their (i) Access to and use of such technology (ii) Employment in information technology and related industries (iii) Opportunities to use e-commerce in small and micro-enterprises (iv) Access to health, education, and communication services and (v) Political participation and economic empowerment. Policies in areas other than information and communication technology can also be significant. For example, industrial and labour policies affect women’s employment in the information technology industry, while education policies can promote women’s science and technology education and significantly influence their preparedness to enter the labor market. Efforts to engender national technology policies should not only sensitize policymakers to gender issues, they should also sensitize gender advocates to technology issues (World Bank 2003). An enabling environment which addresses equity in terms of the use of ICTs should be created. This should include ICT policies at national level that promote women’s empowerment, as well as sectoral policies that have gender equality objectives. In South Africa, partnerships with various stakeholders including NGOs, Science Councils and industry have been forged. Multilateral and bilateral agreements with countries such as India, Unites States and United Kingdom have been signed. These efforts are in a bid to strengthen the development and utilization of technology which will ultimately encourage women participation as legislated. How can models of education and vocational training in ICT be more attractive and inclusive for women, at both intermediate and higher professional levels? Which changes in employment strategies and work organization can lead to a wider participation of women in ICT professions? Which regulatory or institutional frameworks must be improved? Analysis of gender in higher education is mostly concerned with looking at the proportion of women in certain positions and the implications of this distribution for women’s career development rather than the field of expertise. Morley et. al. (2002) noted that gender equity is frequently reduced to strategies for transforming quantitative representation and participation, rather than an engagement with processes, power and dominant values. In a global context, Park (1992:237) as quoted by Morley et. al. concluded that “university women are about three times less likely to be professors than men when age and publication rate are taken into account”. In 1996 34% of instruction and research fellows were women. Universities accounted for 79%. Historically white institutions (HWI) employed 57% of women. Technikons, then historically black institutions (HBI) had a higher percentage of women than historically white institutions. In technikons there is a higher percentage of women professionals than in historically black institutions and in historically white institutions (Ndungane 1999). Singh argues that gender roles are carried into the workplace. Women’s engagement and entry into research was seen as crucial stage in academic development. 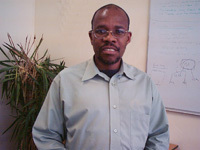 Ndungane (1999) noted that despite the fact that race and gender were areas of prime importance and that the situation has not changed that much since 1990. The situation is gradually improving due to more intervention efforts which have been introduced. Research activities are central to selection, promotion and institutional status. Government through its R&D strategy has devised means to address the gender imbalance in ICT. Research institutions and Science councils (HSRC, CSIR etc) are continually developing programmes to address the imbalance. A government agency, the National Research Foundation has developed several ICT research programmes with a gender component. A typical example is the ICT Focus area which focuses on the need “to unlock the relationship between knowledge, technology, and the uniquely social and economic development South Africa faces”. Of equal importance is the recognition within the focus area that it is the combination of ICTs, knowledge and communication, which are essential resources for social and economic development. While knowledge and communication have long been topics of social science research, in recent years ICTs and the Information Society has become an active area of social science enquiry. Such attention is evident in, for example, multi-disciplinary collaborations on virtual, spoken and visual interfaces, the formulation of more robust and hybrid qualitative and quantitative methodologies, and the development and analysis of policies ensuring that all South Africans can participate optimally in the Information Society. For those reasons, the ICT & Information Society focus area is designed to attract, expand and support humanities and social sciences researchers as part of the process of building South Africa's Information Society. Generate, design, and apply new information and communication technologies in an innovative way. The proliferation of science and technology and the capacity of higher institutions of learning to harness it will remain a daunting challenge for those in positions of leadership. The focus on science and technology gives educational leaders a fresh perspective on the provisioning and serving of their institutions. It offers them a possibility to reformulate the vision and mission of their institutions to create adequate technological awareness amongst staff, students and the public. The rationale for such a campaign is to forge a better understanding of science and technology. It is also to create possibilities to infuse technology into the curriculum. Technology infusion presents academic with an opportunity to incorporate and apply modern technology to tackle socio-economic challenges. Furthermore, it has the potential to radicalize access to information. An increase in telecommunications resources and interactions available to all citizens of the globe can positively transform their socio-economic status and role in global politics. Carl, A.E. (1995) Teacher Empowerment through curriculum development: Theory into practice. Kenwyn:Juta. Cutterbuck, D.(1995) The power of empowerment: Release the Hidden Talents of your employees. (London: Kogan Page. Maeroff, G.I. (1988). The empowerment of teachers: overcoming the crisis of confidence. New York: Teachers College Press. South African Telecommunications Act of 1999. Lebusa A. Monyooe is Manager for Economic Growth & International Competitiveness Focus Area Programme at the National Research Foundation. He was previously employed as Researcher Specialist in the Assessment Technology and Education Evaluation Directorate at the Human Sciences Research Council. Tel: (012) 481 4230/4239 Fax: (012) 481 4005. Steve Ledwaba started his career as a Librarian and part-time lecturer in the Dept of Information Studies at the University of the North. He delivered papers and keynote addresses at various conferences and served as a consultant to the Department of Education/European Union (DoE/EU) Higher Education Libraries Programme offering training to historically disadvantaged institutions’ library staff. He is currently attached to the National Research Foundation as a Programme Coordinator for the ICT and Challenges of Globalisation Focus areas, responsible among others, coordination and administration of the various internal and associated external activities of the two Focus areas. 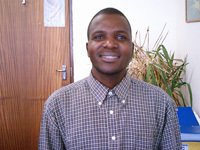 His research interests include Interface design, Information retrieval, Digital libraries, Information processing and the uses of ICTs in online instruction. He holds Bachelor of Library & Information Science degree (B.Bibl), Bachelor of Information Science Honours degree (B.Inst Hons) both from University of the North and a Masters degree in Information Science (M.Inf) from Rand Afrikaans University.